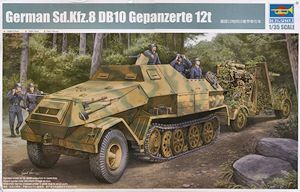 The Sd.Kfz.8 12ton half-track was the second largest half-track produced for the German Army in WWII and was designed primarily as an artillery tractor for large heavy guns such as the 21 cm Mörser 18, 15 cm Kanone 18 and the 10.5 cm FlaK 38. Approximately 4,000 were produced between 1938 and 1945 with main contractor being Daimler-Benz with others built by Krupp, Krauss-Maffei and Škoda, and was provided by a Maybach 12-cylinder, 8.52 litre HL 85 TUKRM gasoline engine of 185 horsepower. All Sd.Kfz.8s were built as artillery tractors with some being converted for other uses after entering service. 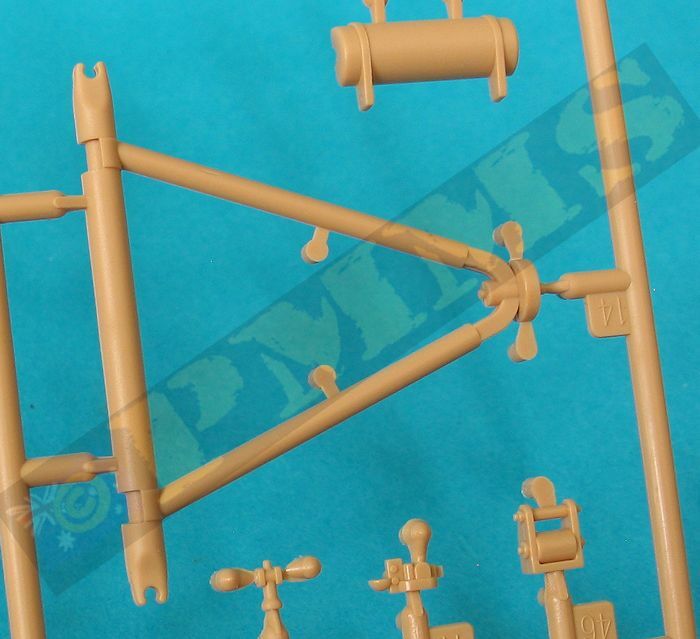 Most notable were the 10 vehicles with 8.8 cm Flak 18 anti-aircraft guns mounted on pedestals, all these were all built on the DB s8 and DB 9 chassis and not the DB 10 chassis which featured torsion bar suspension and full steel dish front wheels (as depicted in this kit), this differed from earlier DB s8/DB 9 chassis which had leaf spring bogies and open spoke front wheels similar to the 8ton Sd.Kfz.7. 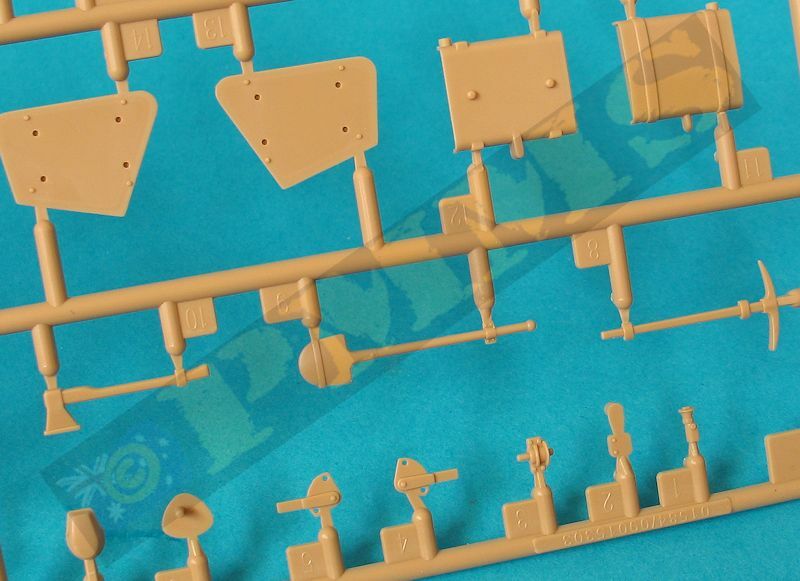 This kit represents the late DB10 Gepanzerte vehicle with armoured upper hull but it is unknown how many of these vehicles were produced although photo evidence shows at least two existed and these photos also show variations in the vehicle hull layout so they were not identical. 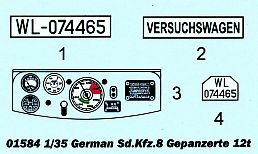 The main visual difference is with the rear hull hatch layout, one period photo and the recovered and rebuilt vehicle had four hatches on the rear hull yet the vehicle shown in the Nuts & Bolts Sd.Kfz.8 book clearly shows only two doors on the rear hull. 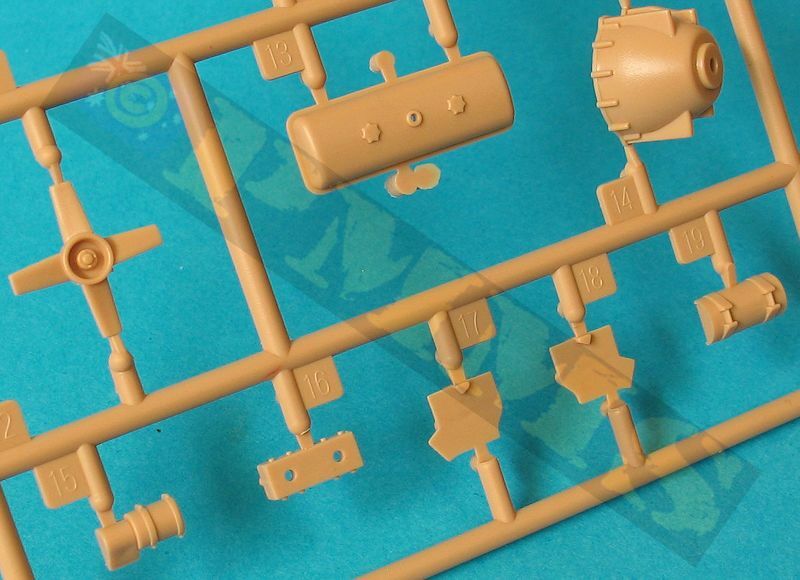 The Nuts & Bolts book has a front and rear view of the same vehicle and Trumpeter have used the number plate data from this photo yet the kit has the four rear doors so the markings included are not correct for the kit configuration but more on this later. 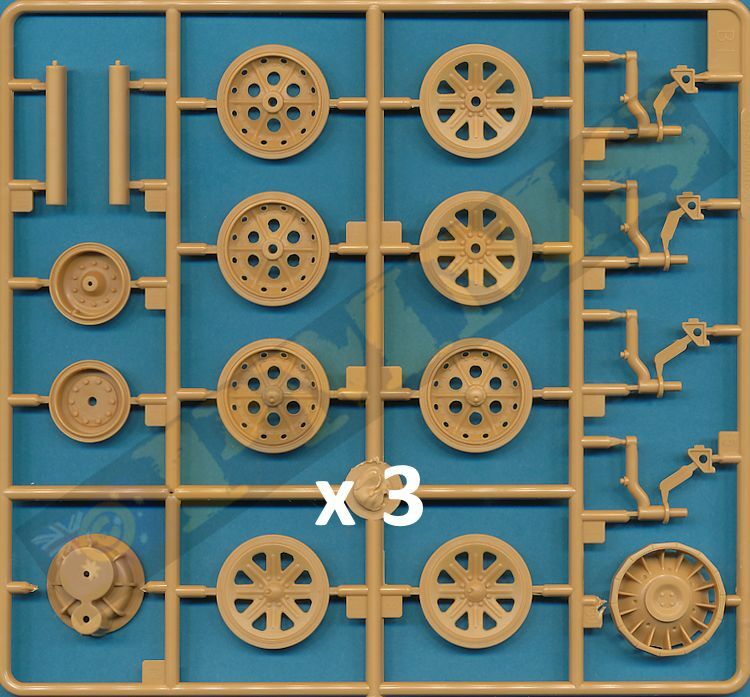 The kit consists of 405 parts in beige plastic, another 240 brown track links parts, 51 etched parts, 4 vinyl tyres of two patterns plus a length of copper wire , a small decal sheet and 20 page instruction booklet. The kit features a full Maybach HL 85 TUKRM engine although the large radiator is not included, there is also two style of drive sprocket and two styles of front tyre included as options along with the now familiar German half-track individual working track plus a detailed interior driver’s station and rear compartment for a quite comprehensive kit. 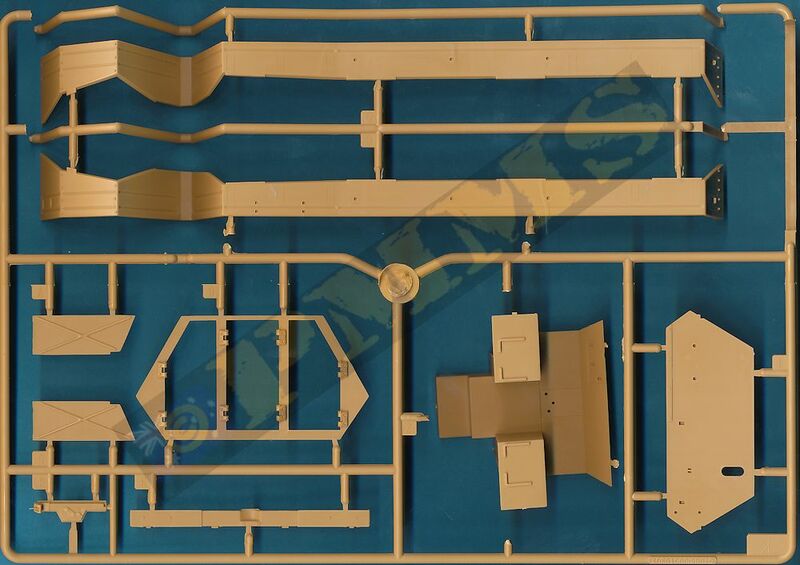 This has the two side frames separate joined together with the separate torsion bar suspension channels and chassis cross members. Each suspension channel is in two halves and you need to check the part numbers to ensure you glue the right parts together. Also trapped between the chassis frames is the large gearbox/transmission which is correct for the 12t and is a simple assembly with the major details included. 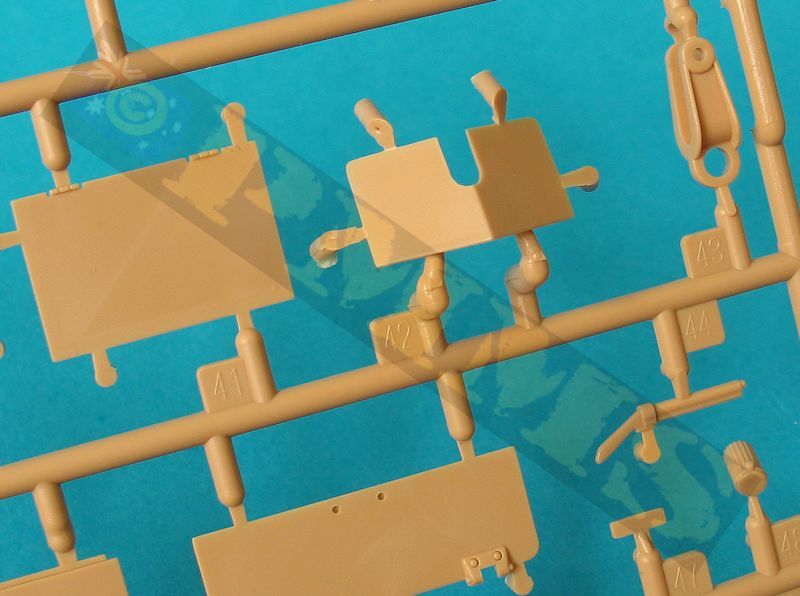 Assembly of the chassis is straightforward with you gluing each of the channels and cross members to one side frame first and then add the other frame, this is easier than trying to balance all the parts while fitting the two side frames together. The only thing to watch is that the chassis is perfectly square before the glue dries but due to the size this shouldn’t be a problem. 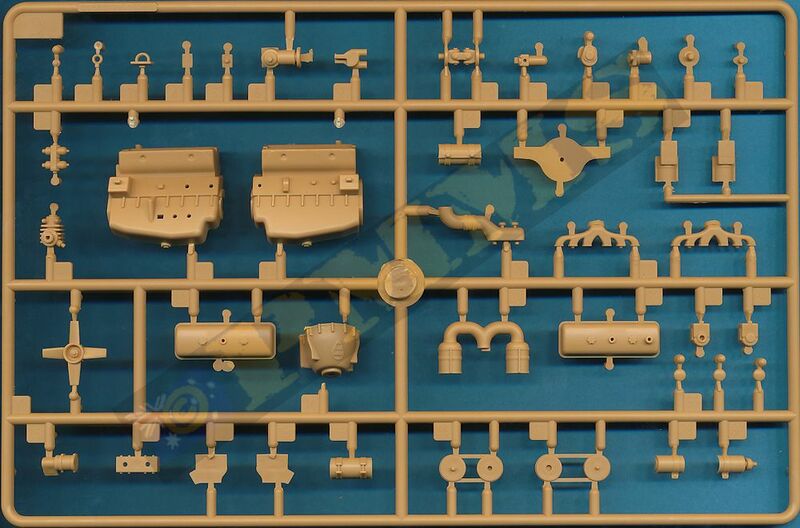 The rear chassis plate has the large inside tow hitch housing as well as the outer standard half-track tow hitch plus the compressed air valve. You need to remove the winch guide locating marks as this vehicle didn’t have the winch fitted; the main winch base is included inside the chassis but not the winch drum for the same reason. 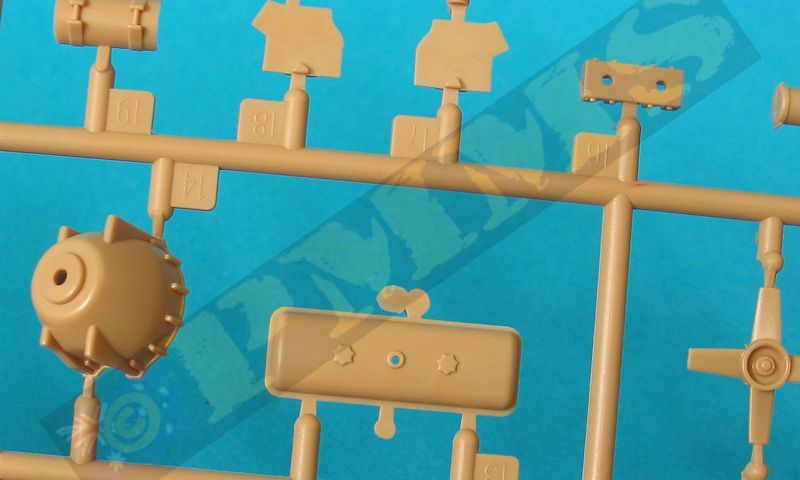 The rear plate is braced with two inner panels and you need to take care with the orientation of these braces to get the best fit. 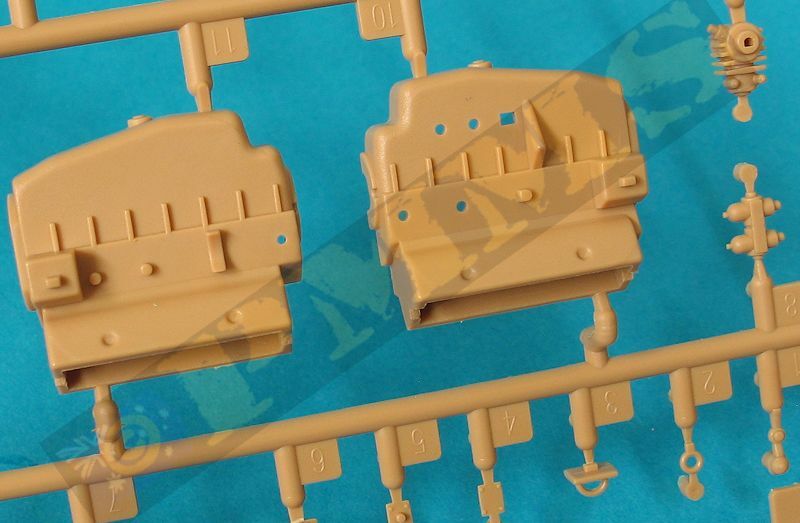 There are some details missing from the chassis such as the two large compressed air tanks located just behind the transmission but as this area can’t be seen after the upper hull is added is probably not an issue with this kit. 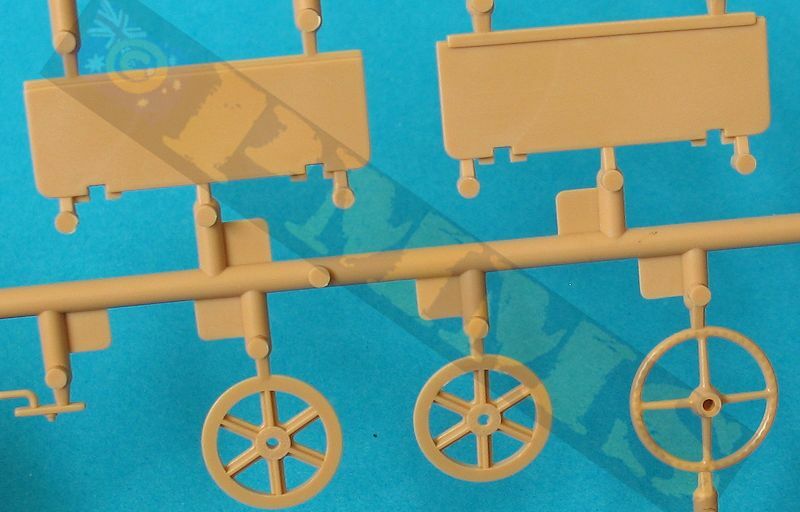 The road wheel axles are all separate parts as are the bump stops with the fit to the chassis precise with the correct ride height, you can of course trim off one of the axle locating pins to animate the suspension if you wish for a diorama situation. 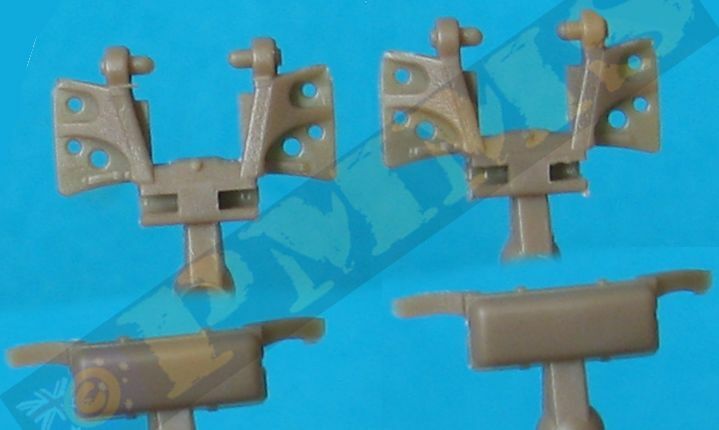 The rear idler mountings have separate adjustment linkages and the mountings have a bit of movement to allow the track tension to be adjusted if required when fitting the tracks. The front suspension is basically a larger version of earlier half-tracks with the large diagonally mounted leaf springs trapped inside their housing and the front axle with rear A support frame. The two front wheel axle hubs clip into the end of the axle allow these to steer with the connecting steering rod also clipping into place, there are small suspension linkages added to the front of the spring housing to complete the assembly which is added to the underside of the chassis without any problems. 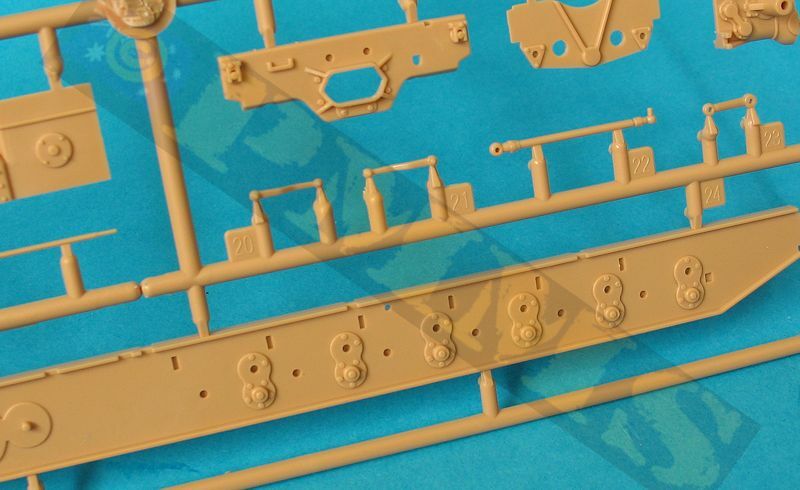 There are additional steering arm linkages added between the suspension and the steering box attached to the chassis but unfortunately these are designed to be glued into place thereby negating the movable front wheels. 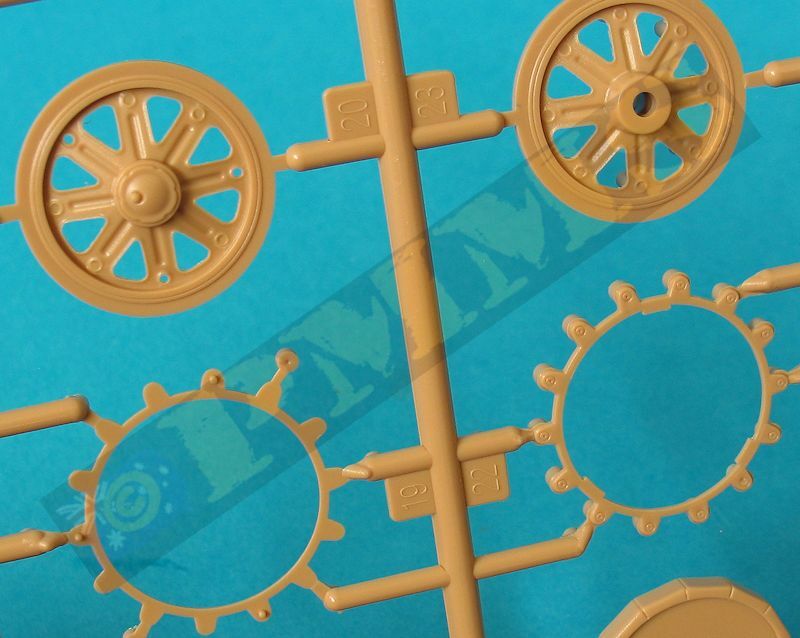 It does allow you to position the wheels at an angle if you wish but for fully steerable front wheels these linkages (parts A2, A22, A23) would have to be made movable by adding pins to the linkages, and once again due to the larger size this wouldn’t be too difficult for most modellers. 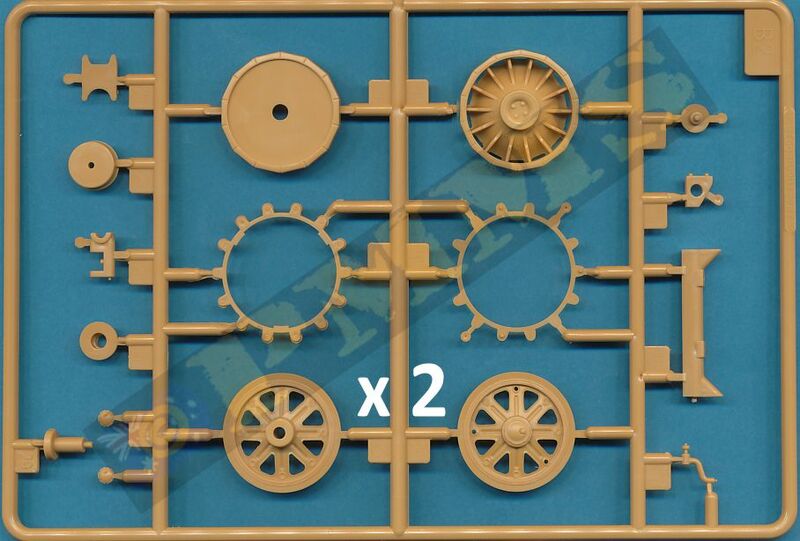 These are sized correctly with the kit giving two different style of sprocket that were used on the 12 ton, the main differences are in the contours of the sprocket ribs and the size of the central hub. 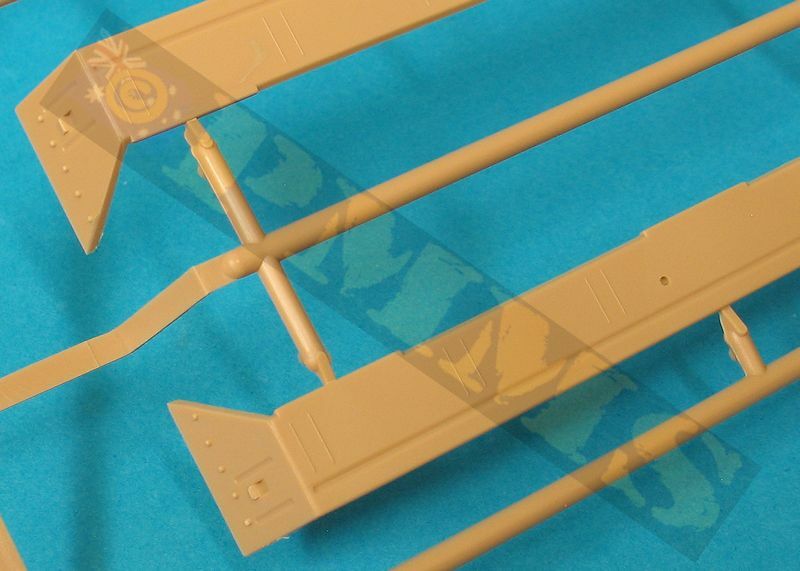 The ribs are a little on the thick side but the other detail is quite well done with textured etched strips for the footsteps around the central hubs for good detail definition. 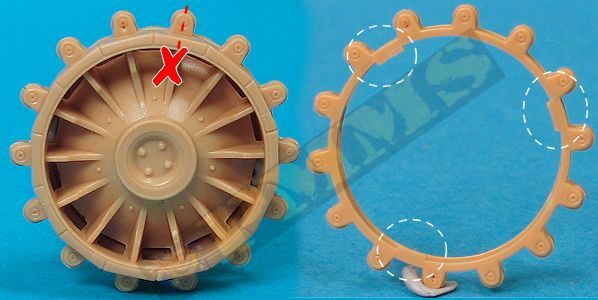 There are a couple of issues to deal with, the first is there should be pairs of bolt heads around the inner sprocket rims to hold the track pads sections in position and given the size of the sprockets their absence is quite conspicuous. 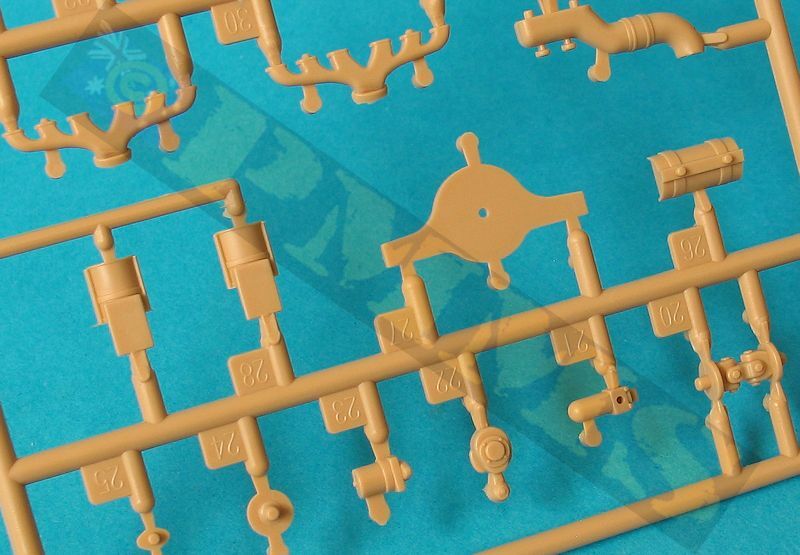 These can easily be added from available hex bolt sets or from chopped up sprue, again the size of the sprockets makes this job a little easier. The second is the drive teeth (rollers) are not offset as they should be. 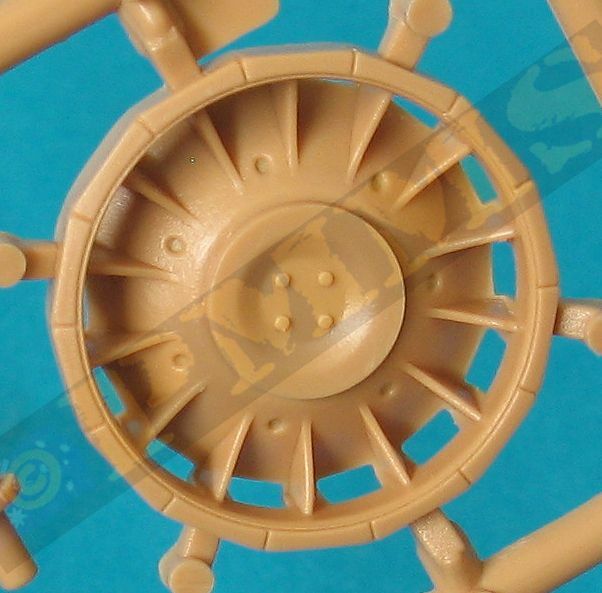 The rollers on all German half-tracks were offset towards the front (left and right sides) of the flat track pad section of the sprocket to allow the roller to intermesh with the tracks correctly. Again this is quite noticeable given the size of the sprockets but it is very easy to fix by just cutting off the locating tabs on the inside of the separate tooth rings (parts B22) and fit with the rollers aligned correctly for the right and left side sprockets. 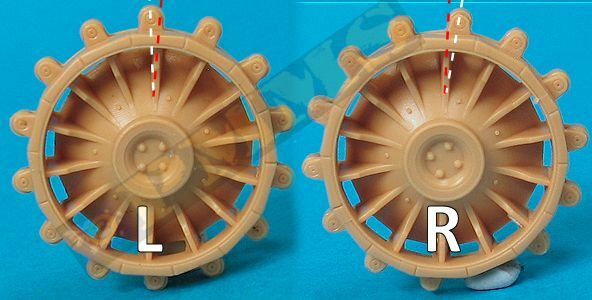 Images showing the correct offset of the drive rollers for the left and right drive sprockets. The final drive housings are quite basic but you can’t really see this anyway with the sprockets fitted and the inner sprocket half is first attached to the final drive by way of the small pin which allows the sprocket to rotate. 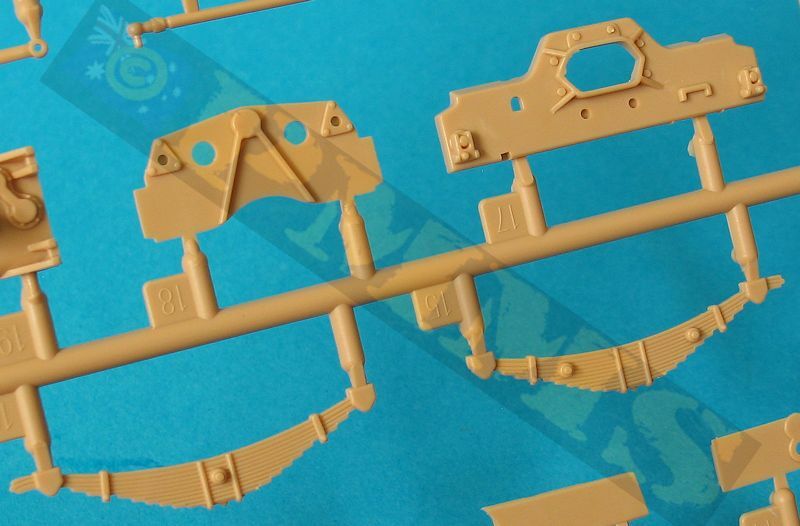 The other sprocket sub-assembly (tooth ring and outer sprocket half) is then attached to the inner sprocket half and the full assembly can be added to the chassis. 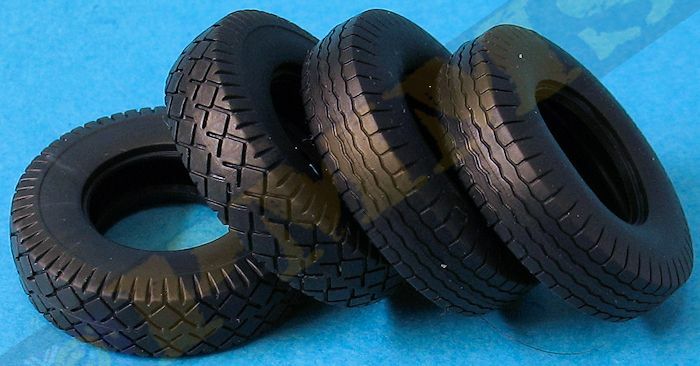 The kit includes two styles of standard 12t front tyres in black vinyl, with probably the two most “common” tread patterns seen on 12 toners, and there were also other patterns used as with most half-tracks. 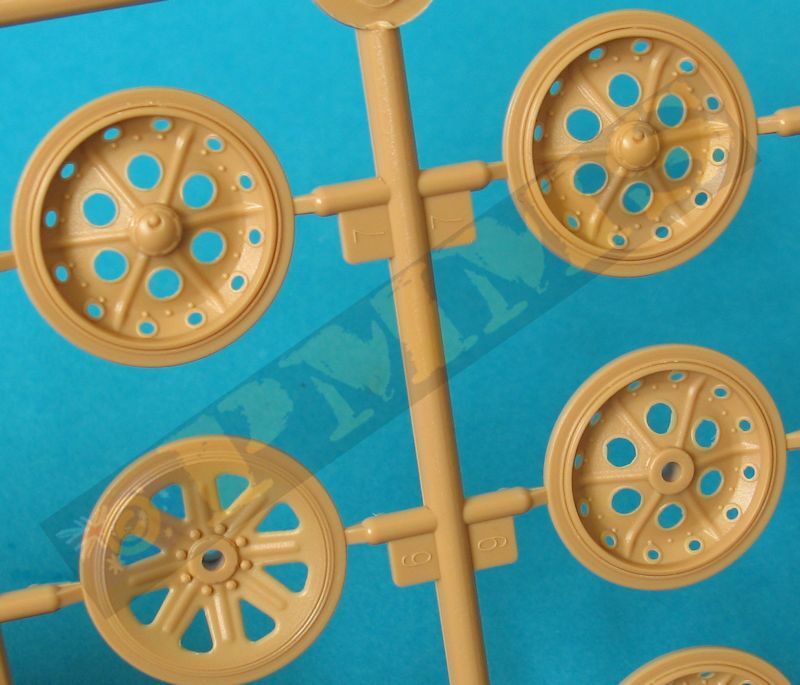 A recently discovered and restored Gepanzerte 12t was fitted with smaller solid rubber front wheels yet all the available wartime period photos of the Gepanzerte 12t clearly show them fitted with standard 12t wheels and tyres as included in this kit. The wheels themselves have two part wheel rims attached from either side of the tyres with a separate central hub cap. 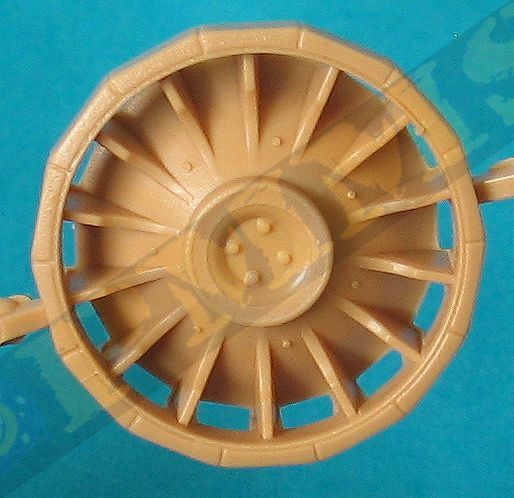 The detail on the rims is quite well done but the inner join between the rim and hub is without detail due to the restraints of the moulding process. 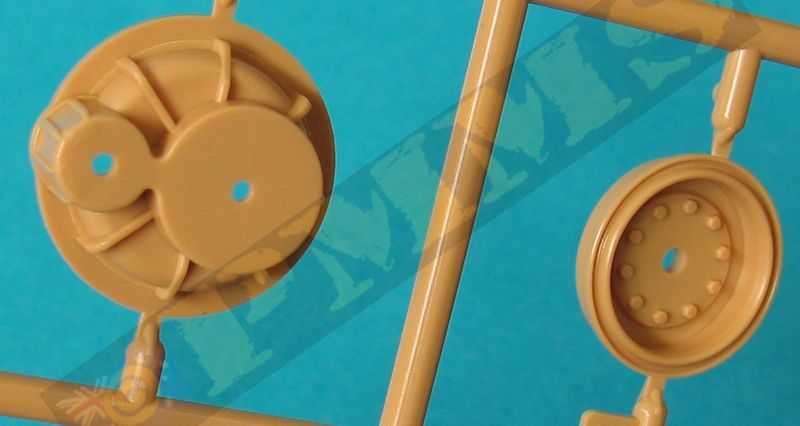 Also the valve stem is moulded with the rim and could be replaced with sprue (or similar) for better definition. There are also sized correctly and have the rim and hub details quite nicely done, the rim bolts could be a little more defined but that is probably nit-picking, the idlers also include the inner tooth rods as they should do and overall the wheels are nicely done. 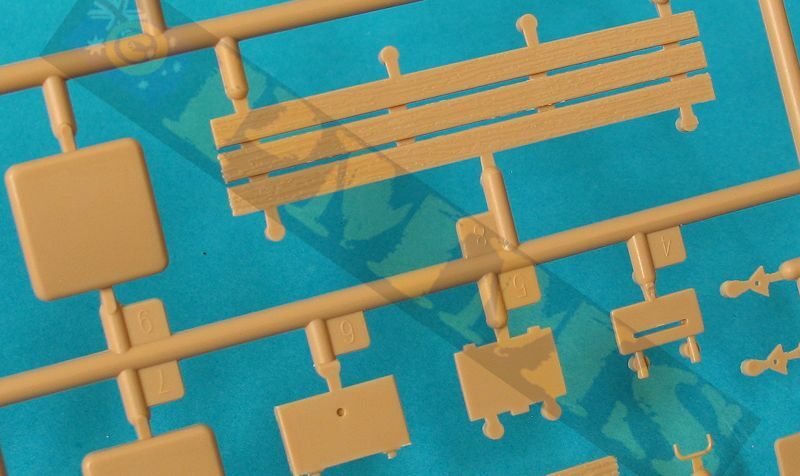 The Zgw 50/400/200 tracks sees the 400mm width equalling 11.428mm in 1:35 scale and the kit tracks at about 11.5mm give or take a fraction so are perfectly okay in size. 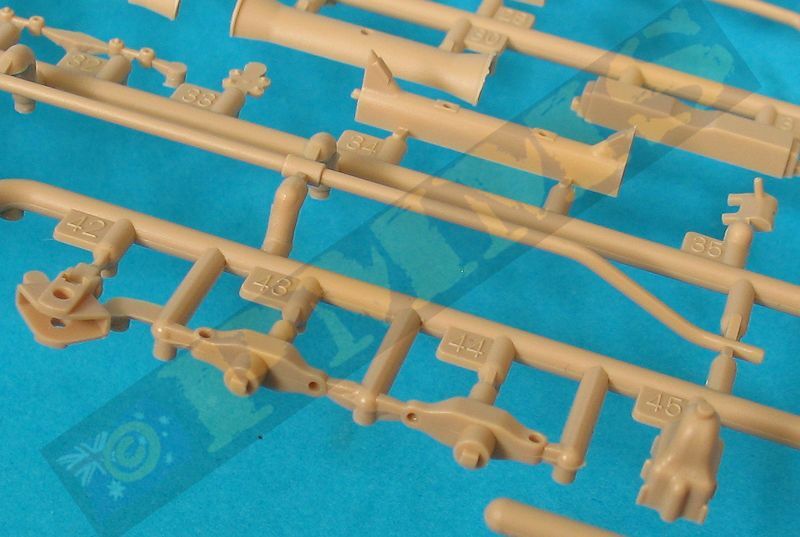 The individual link workable track is broken down in the usual manner for German Half Track kits with the track link and separate rubber pad that traps the pins from the previous link during assembly to form the workable track runs. 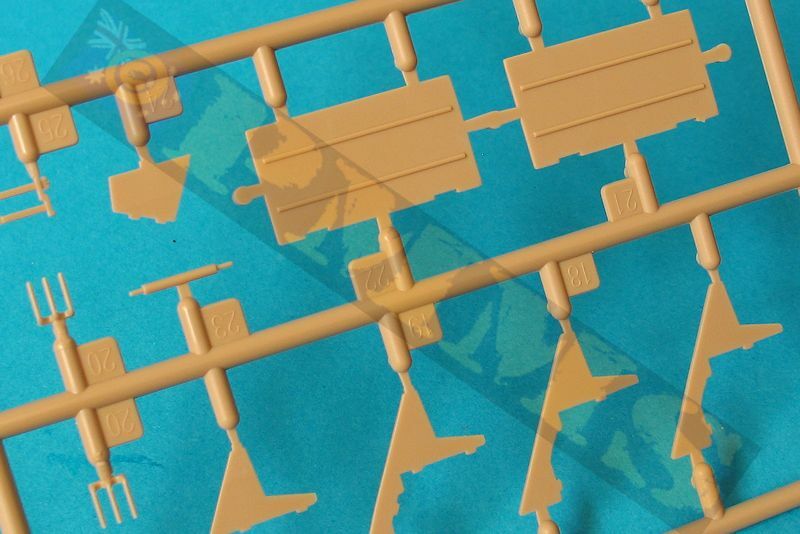 The rubber pad sections also include part of the track rib on either end of the pad to give a good definition to the links but you need to take care not to damage these extensions while removing the pads from the sprues. One small issue is the pitch (length) and each kink is fractionally too short, this results in 56 links required for each track run when the actual vehicle used 55 links per side, the difference of one track link is something you wouldn't lose sleep over at the end of the day. 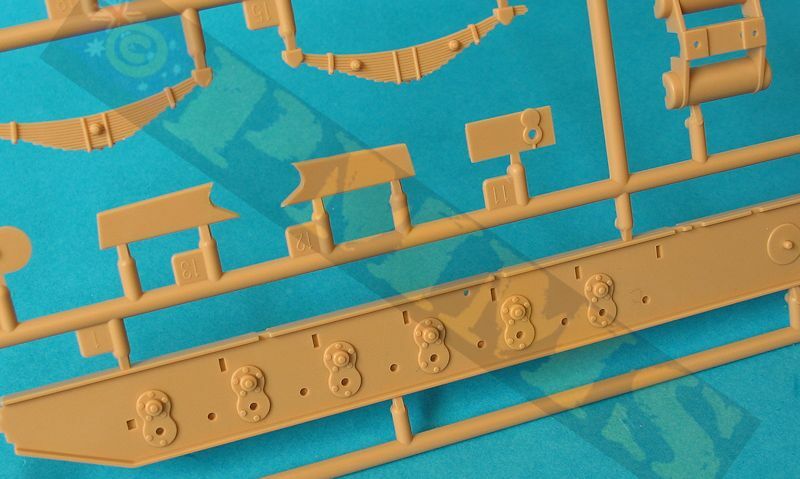 The assembled track runs articulate well and fit perfectly around the sprockets providing you made the minor alterations when fitting the tooth roller rings as above. 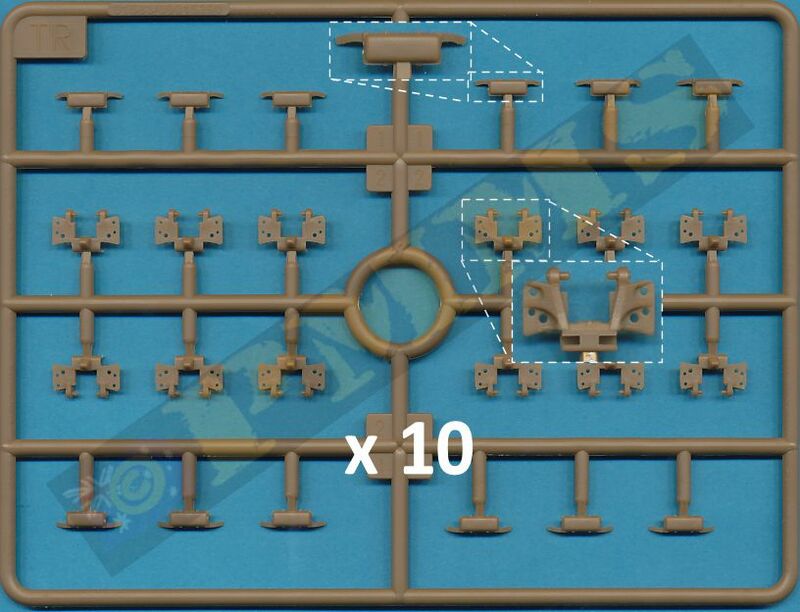 Track assembly, pins from one link inserted into next and secured with the separate track pad. This is repeated for each track link for the 56 required for each track run. 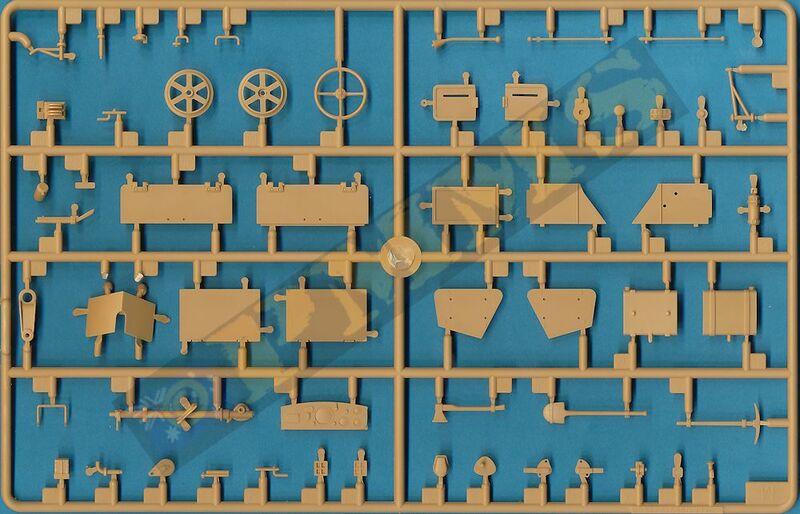 This is a good representation of the Maybach HL 85 TUKRM 185hp V12 engine with all the major components included such as separate head valve covers, exhaust manifolds, central carburettor with the two air cleaners mounted on the firewall as well as smaller items light magneto, generator and oil filter as well as fan belts/pulleys and separate fan at the front. 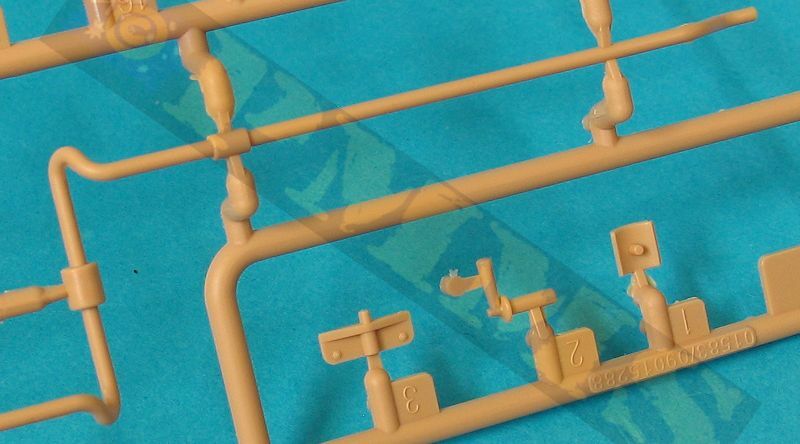 The two long exhaust pipes running along both sides of the chassis are in sections to aid in fitting as one side runs above the and the other below the suspension channels so take care with the instructions as it can get a bit confusing where each pipe goes. 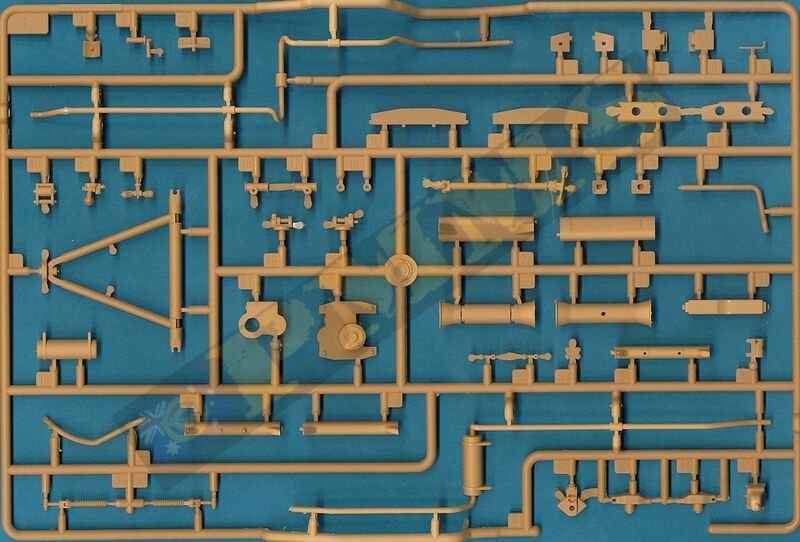 Assembly is of the engine is straightforward without any problems and like any engine additional detailing can be added to make a standout engine if being displayed on the finished model. 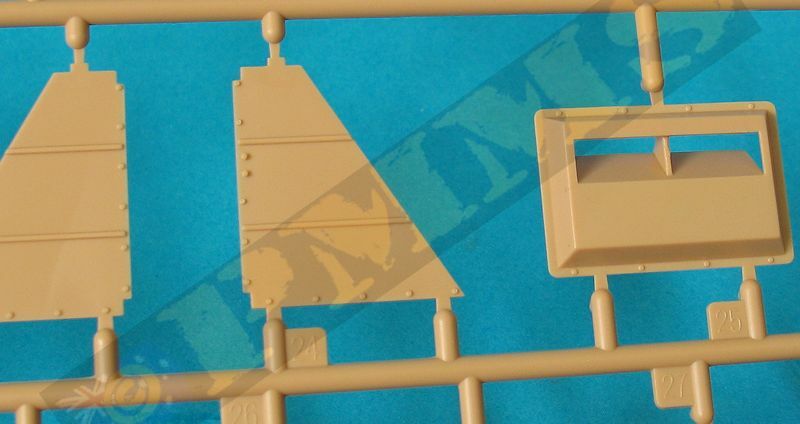 As mentioned above the radiator is not included but this would be hidden anyway and will most likely be included for the standard Sd.Kfz.8 Artillery Tractor already announced. There is an issue here with the HL 85 engine being used in this kit as photos of the recovered and restored Gepanzerte 12t show it is fitted with a different engine, most likely the later Maybach HL 95 200hp V12 engine designed for the DB11 which never saw production but I guess this is a minor point with this kit especially as the engine can only be seen with the top hull access doors open after assembly. 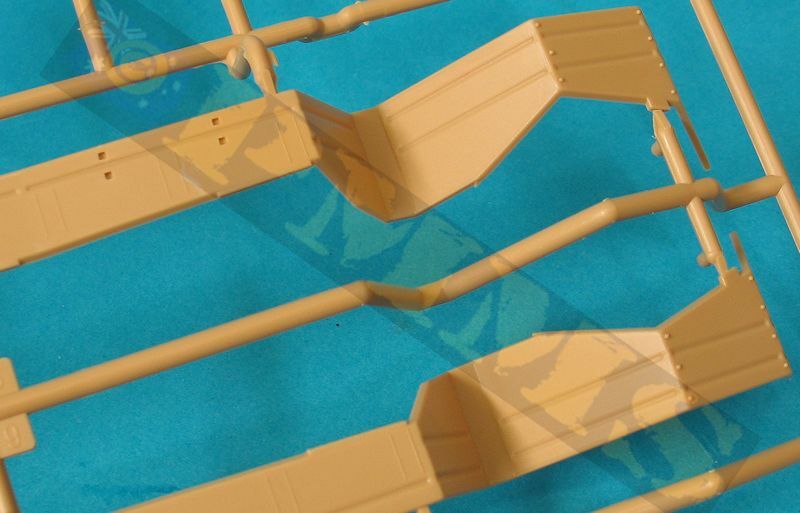 The large lower hull tub is a single moulding with cut-outs for the engine/gearbox as well as the side engine inspection doors and intakes, added to the tub are the full length fenders, the front bumper assembly and rear fender extensions, both these has small etched parts for added detail. Added to the top of the fenders are 12 etched fender braces, the Notek light with etched bracket, etched steps both sides and also the large storage boxes either side with separate lids. 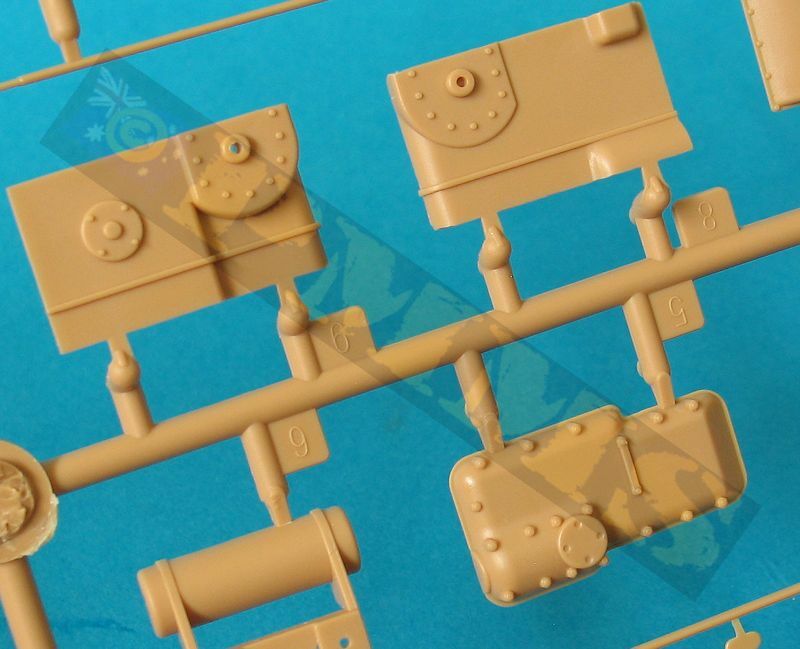 There are also four Jerry Cans with etched securing straps and the large left side jack with plastic tool clips, this does seem a little odd with all other etched parts floating about but there are plenty of aftermarket tool brackets if you wanted to add the extra detail. 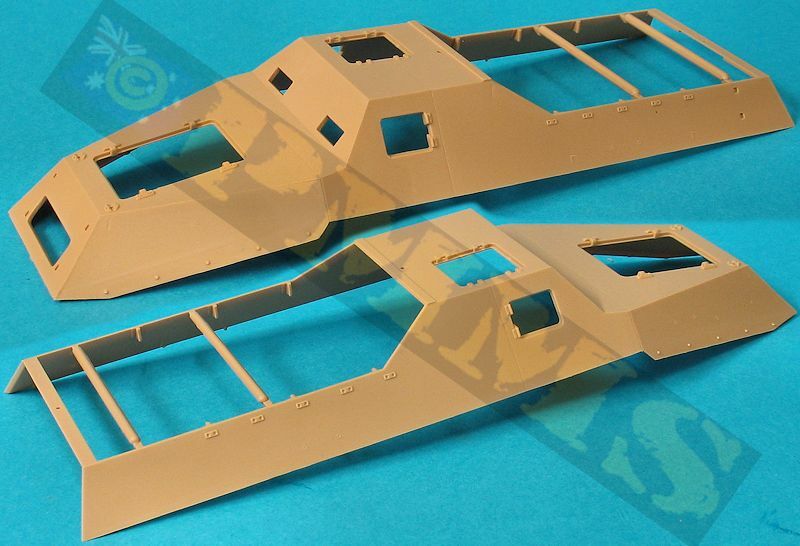 The instructions indicate to glue the completed lower hull to the chassis at this stage with the fit being precise without any fit problems. You then add the inner engine bulkhead taking care to slip the steering wheel column through the bulkhead as you fit this into place, added to the cab side of the bulkhead are the right side oil tank, left side speedometer and the separate instrument panel with decals for the dials and data blocks. The lower driver’s compartment floor has tread plate texturing as does the rear compartment floor and added to the driver’s compartment floor are the three foot pedals and gear levers as well as the seats and added behind the seats are the rear compartment side bulkheads with the fit of all these parts being good without any trimming needed. The rear compartment is decked out with side wood slat crew seats, storage boxes and the large rear corner storage compartments and again these all fit together with any problems. 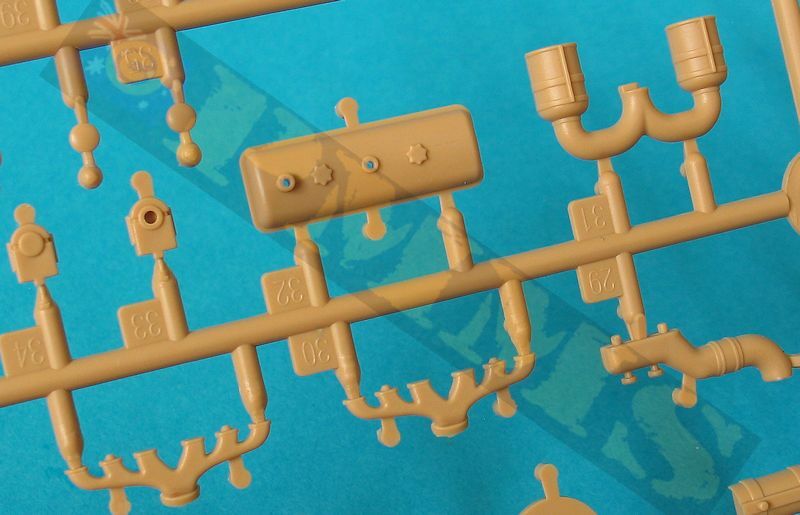 As there is little to no intel available on the internal layout we have to take this on face value and assume it is based on the restored vehicle. 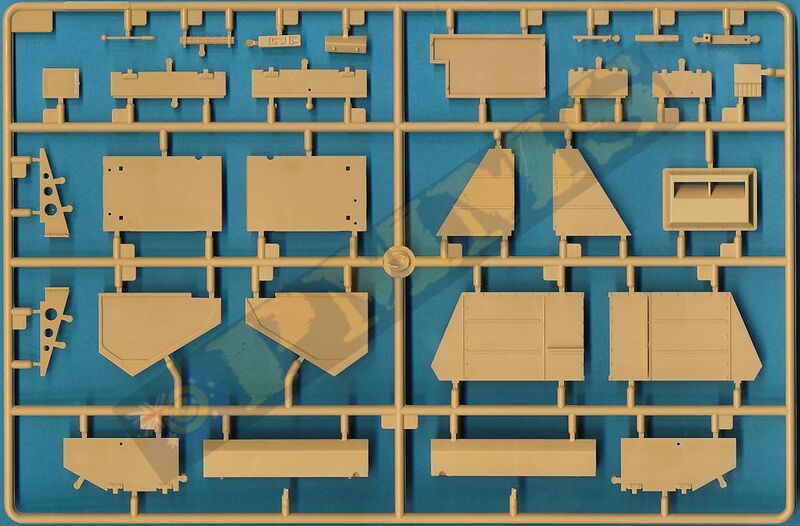 The upper hull is another large moulding with the open rear compartment and separate top engine access doors plus the crew hatches and visors, there are a number of holes to be drilled for the tools etc. as indicated in the instructions. All the hatches have separate grab handles and can be shown open or closed while the front driver’s plate visors have inside mechanisms that allow these to be positioned open or closed as required. The pioneer tools have moulded on clips and brackets and these will benefit from being replaced with etched tool clips for an improved appearance. 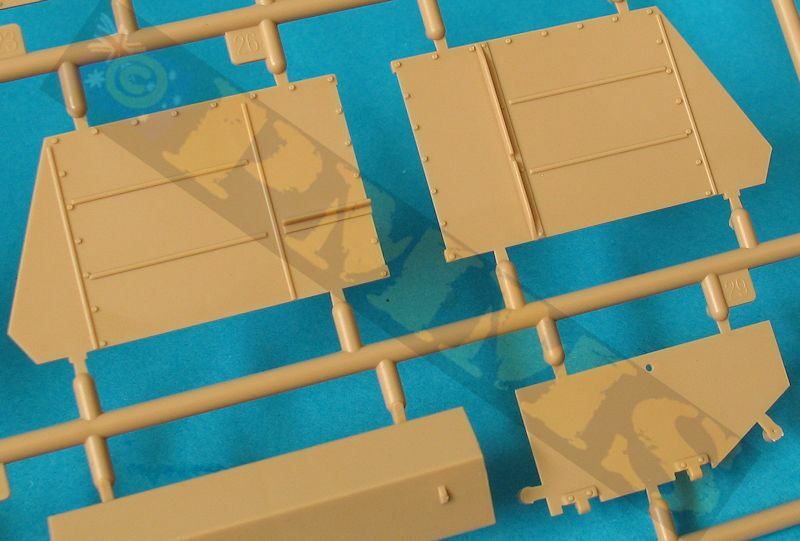 At the front is the large radiator cover that has open intakes and there are two MG34s with shields for the front and rear of the rear compartment, the shields are a little on thick side with bevelled edges on the shields and again these would probably be included in any etched detail sets for the kit. The rear hull plate has the four access doors as per the recovered vehicle and as mentioned above there is also clear evidence of at least one vehicle having just two large access doors but the four door configuration is correct for at least one of the know vehicles produced. 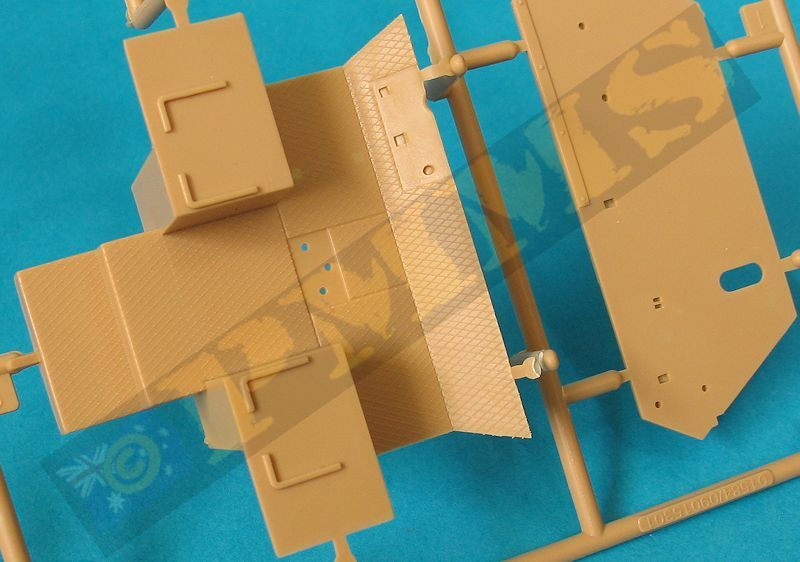 The fit of the upper and lower hulls is good but you will need to make sure all the joins are aligned as there is scope for small gaps if not careful, this also applies to the rear hull plate which has bevelled edges to ensure a precise gap free join to the upper and lower hull plates but again there is potential for small gaps if not careful with the alignment. 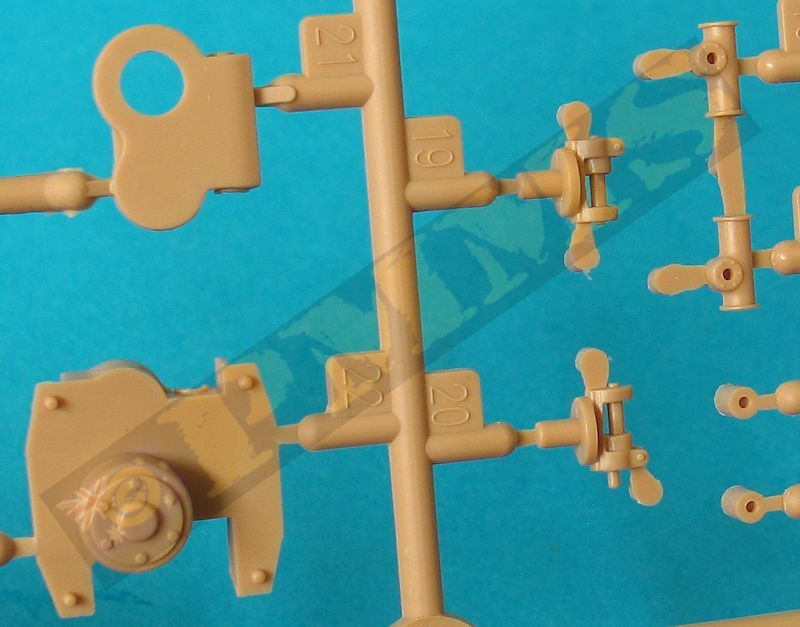 The small decal sheet has the instrument dials and vehicle number plates clearly shown in the wartime photos in the Nuts & Bolts book, this also shows that particular vehicle had only the two rear plate doors so the markings provided don’t match up with the four door rear plate in the kit if this is a concern to modellers. 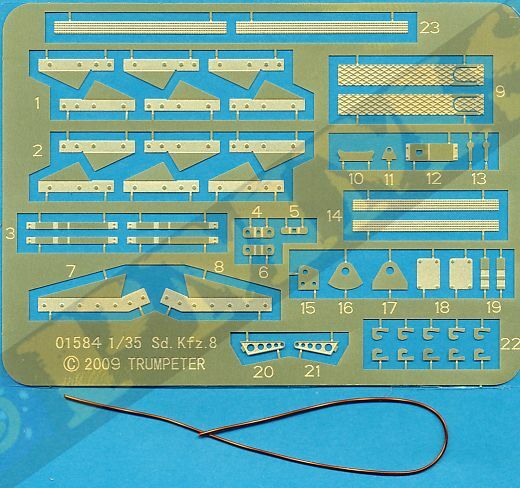 These small instruction booklet has the usual exploded view drawings of the assembly sequences which are clearly laid out and easy to follow helped by the relatively small number of parts in the kit. The usual study of the sequences before gluing is always advisable to avoid any problems. 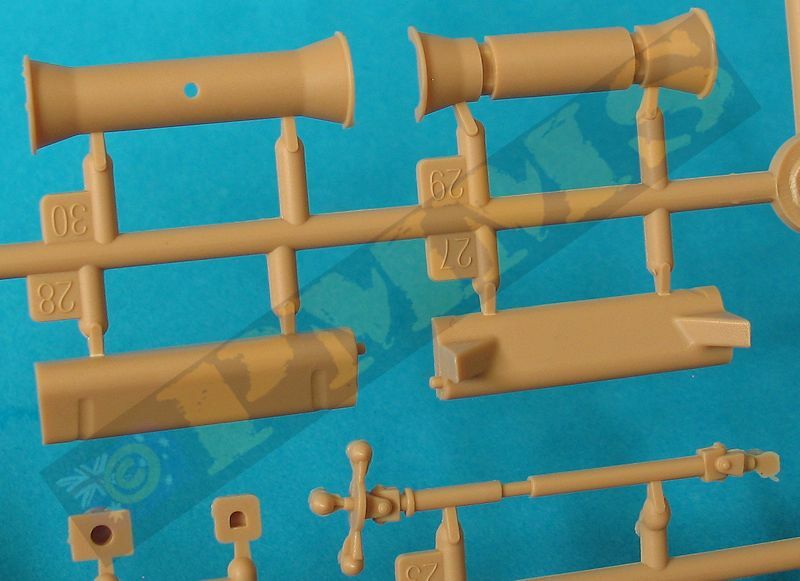 Modellers have waited a long time for a good kit of the Sd.Kfz.8 12t in plastic and this effort from Trumpeter provides this with the chassis and running gear being dimensionally accurate and nicely detailed overall, unlike the dog’s breakfast we got from their 5ton half-track last year. 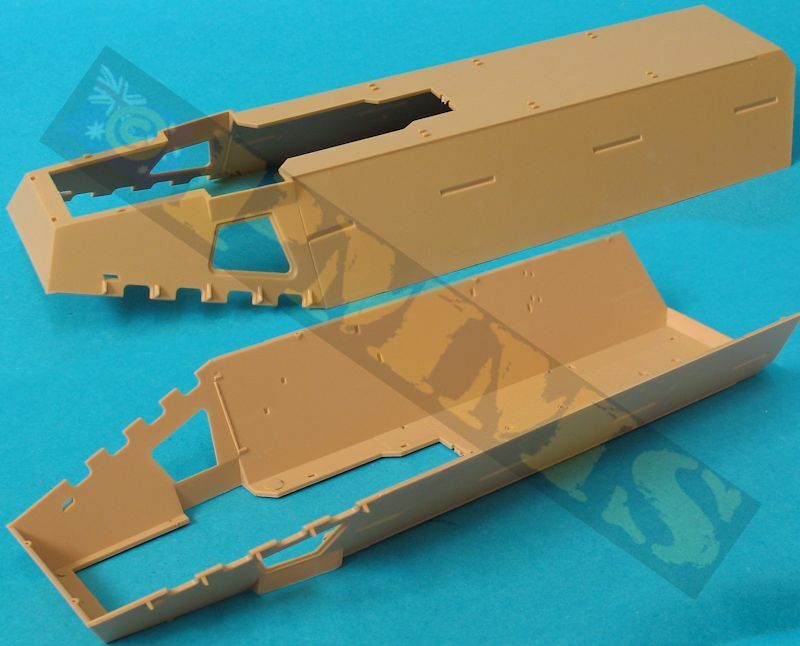 The standard of mouldings and the fit of the parts are also well done with the armoured hull sections being very clean with easy assembly. 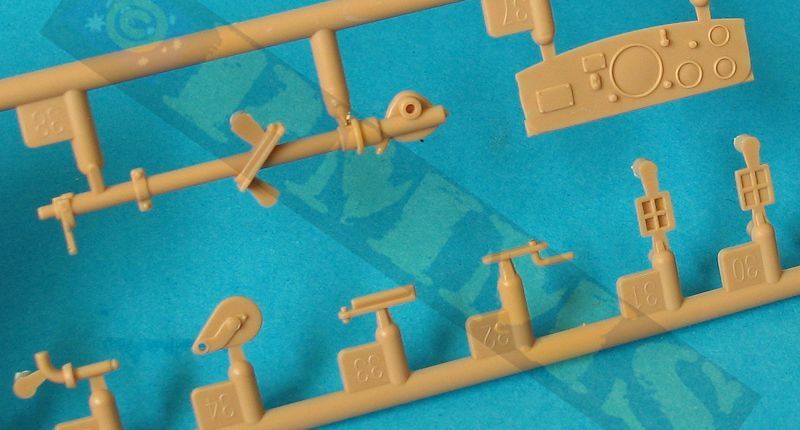 As with any kit there is scope for adding the finer details as there is with this kit even if of a rather obscure version of the vehicle. 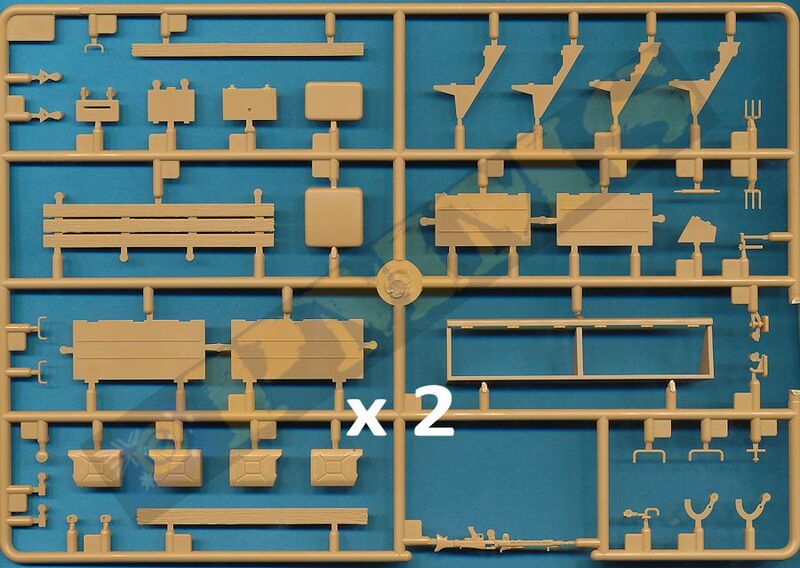 The kit provides a sound and accurate basis for the standard Sd.Kfz.8 Artillery Tractor version to come which is probably the most desired version and will fill a large gap in the ranks of German Half-track kits.